A quarter of a century after the historic Supreme Court judgment on the maintenance lawsuit of Shah Bano and the ensuing storm which made the then Congress government rework the law, her youngest son Jameel Ahmed Khan recalls the deep financial distress and mortifying shame his mother suffered. "My mother was wronged, gravely wronged," said Jameel, 60, as wrinkles on his face rearranged themselves in remembrance of circumstances triggered by her fight for maintenance. "My mother was a simple, purdah-observing woman. Being divorced at such a late age (60, by most accounts), the publicity, paper-baazi… she was very ashamed of all this. She didn't say much but kept stewing over it." This bottling up of emotions took its toll. "She developed high blood pressure and frequently fell ill," said Jameel, a 'property broker' (local euphemism for somebody without a steady job), who lives in a modest house in Indore. 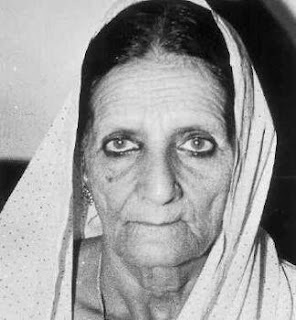 Shah Bano died of brain haemorrhage in 1992. Mohammed Ahmed Khan, an affluent and well-known advocate, took a younger woman as second wife 14 years after he had married Shah Bano. After years of living with both wives, he threw Shah Bano and her five children out. When he stopped giving her Rs 200 per month he had apparently promised, she fought and won a seven-year legal battle for maintenance. Prominent Muslim organisations opposed the Supreme Court verdict, which they felt, encroached on Muslim personal laws. The Congress government, which had the biggest majority in India's Parliamentary history, reworked the law — by enacting the Muslim Women (Protection of Rights on Divorce) Act, 1986 — barring Muslim women from getting maintenance after divorce under civil laws. A provision of the Act limited the husband's liability to pay maintenance to his divorced wife only for the period of iddat (roughly three months immediately after the divorce). "Izzat ki ladai thi (It was a fight for self-respect). It was a fight against our izzat being maligned in the locality and a family matter," Jameel said. Although Jameel, a god-fearing Muslim, was careful not to criticise his father, he conceded that Mohammed Khan increasingly favoured his younger wife's children after the two households became separate. "It came to a pass where he'd only come on Eid, and even then my chhoti vaalida (stepmother) would send for him even before we could serve sevaiyan," he said. In fact, it was a festive day attempt at rapprochement that finally tore things asunder. "Around two years after my mother had moved out, my brothers and I went to meet my father on Eid and asked him to forgive and forget. But he slapped me and threw us all out," said Jameel. When the Supreme Court in 1985 upheld Shah Bano's maintenance claim, a political blizzard broke out. "Former diplomat and prominent Muslim leader Syed Shahabuddin visited our house as did ulema (clergymen) from Indore and other cities, who told us that the verdict was against the Shariat," said Jameel. "We didn't know much about it (Shariat provisions for maintenance etc) then… our mother was illiterate. Clergymen from India and abroad contacted us and told us that there had been a mistake and explained how things should be according to the Shariat." He added, "Several people including (names a well-known cleric from Gujarat) had offered money and even a job abroad (for refusing maintenance). But I was clear that if we refused, it would not be for material gain but Fi Sabeelillah (for Allah's cause)." Once the matter became public, journalists from India and abroad started landing up. "The pressure became such that I felt winning the case wasn't so good. It would've been better if we lost," said Jameel. "Massive processions against the judgment were staged across the country. In Mumbai, traffic was held up for hours. Even in Indore there was a lakh-strong rally which passed in front of our house. Even if every rallyist threw a pebble each, our kuchha house would have crumbled. This creates terror." Simultaneously, the family started getting invitations from liberals in the community. "We accepted these thinking 'let's see what they have to say'," he said. A group from Ahmedabad organised a felicitation for Shah Bano. In the meantime, the family received a message from then Prime Minister Rajiv Gandhi. He wanted to meet them. Shah Bano and Jameel travelled to Delhi and met him. "He said the situation was very critical, serious. 'We have to find a way,' he said," recalled Jameel. "I told him (I'd since read up on Shariat directives about marriage and maintenance) there was no provision for maintenance, except for money to be paid during iddat and mehr (money to be paid at the time of divorce). I told him the law should be amended. He, in turn, asked us to announce that we were refusing the maintenance." Jameel was candid about vote-bank politics. "Muslims across the country were ranged against the verdict. The elections were approaching. Political parties think about their interests. It was felt that if Muslims voted en bloc against the Congress on the issue, the party would lose power." After returning to Indore, Shah Bano held a press conference to announce that she was forsaking the maintenance because it was against the Shariat. "I thought if we didn't backtrack now, azaab (grief) would be on us. Since it was a matter of religion, I didn't want us to become a precedent," he said. "I thought, 'My mother will live for another two, five, 10 years. But if we agree (to accept the judgment), we'll be forever branded as the people who got the government, or the courts, to interfere in the Shariat. There's no point in living with such a taint on you." Almost immediately, the whole situation changed. "My mother was feted at public functions (by orthodox Muslims) and showered with titles like 'Deeni Bahan' (Righteous Sister) and 'Islami Behen' (Islamic Sister)," Jameel said. "Although a section of the media continued to report that our decision was the result of pressure by the clergy, we chose not to respond. We also decided to withdraw a case for recovery of mehr, which was 3,000 kaldars (silver coins), but my father only paid Rs 3,000," he added. Asked if he had taken issue with clergymen who approached him after the verdict for ignoring Shah Bano's plight earlier, he said, "The first question I asked them was, 'Where were you all these years?'"